Club confirm Spurs in talks to land £19.5m Italian international ahead of gifted playmaker coup | The Transfer Tavern | Where football transfer rumours fly or die! 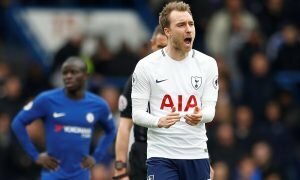 While North London rivals Arsenal have been dominating the transfer market in its burgeoning stages, the Spurs fans in the Transfer Tavern have been quietly going about their business. The more eagle-eyed bunch amongst that rowdy crowd have spotted reports emanating out of Italian outlet Corriere dello Sport, suggesting their club is in talks with Palermo over Italian international midfielder Franco Vazquez. The 27-year old scored 8 goals and registered a further 7 assists for the Sicilian side last term, demonstrating a fluid ability to operate as either a playmaker or a second striker for the Rosanero. With the North London side gearing up for a venture back into the Champions League, the Argentine born Azzurri international would help cover a variety of attacking positions at White Hart Lane. According to the report, Palermo president Maurizio Zamparini has confirmed that there is contact between the two parties ahead of what promises to be a lavish summer of spending the Premier League. “It’s definitely more likely that Vazquez will go to England — I’m asking for €25m for him,” he is quoted as stating. That fee equates to around £19.5m, meaning he could potentially become one of the club’s most expensive signings of all time. Has Vazquez got enough in his locker to cut it in the Premier League?